This is probably my favourite selection of middle eastern starters ever if I have people at home for dinner. They are healthy, quick to prepare and taste delicious. They can be made well in advance and taken out of the fridge an hour before being served. All you need really is a good food processor. 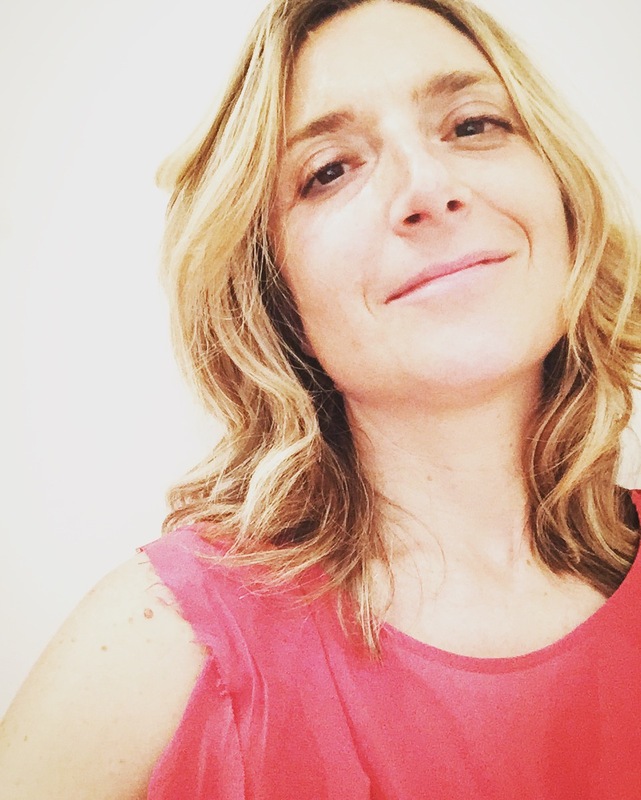 If you are a perfectionist like me, then you want the proper thing. This procedure, although much longer, will give you a very smooth Hummus. If you are in a hurry and want to save time, use canned chickpeas and avoid skinning them, the result will be a much rougher texture. 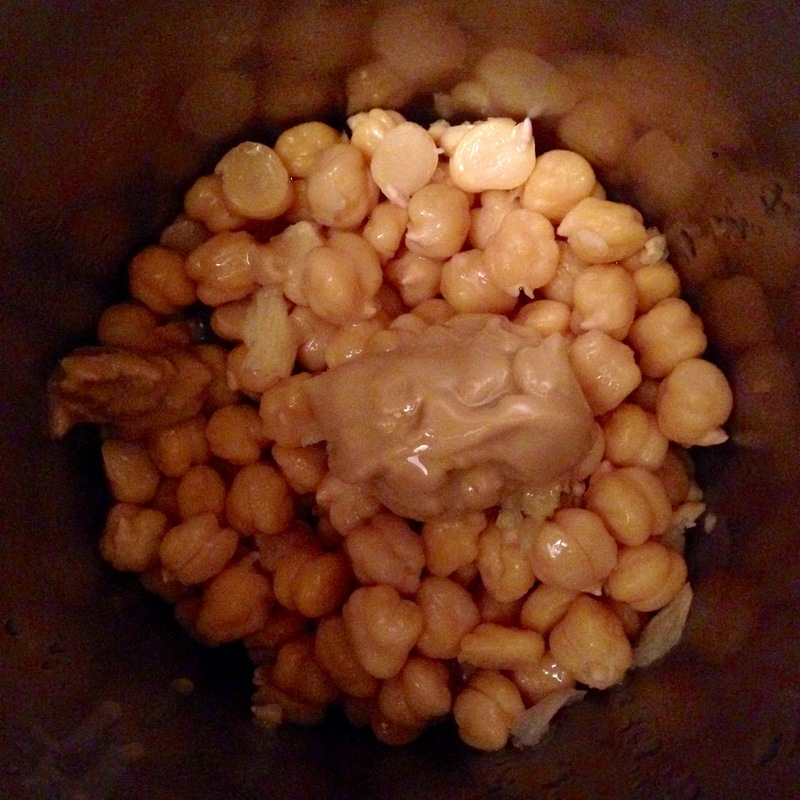 The next day, rinse the chickpeas well and put them in a pressure cooker with twice the size of cold water. When you hear the steam coming out with a whistle, lower the flame and cook for 45/50 minutes. If you use a traditional pan, cooking time should be 1.30 h.
Rinse the chickpeas and add cold water. 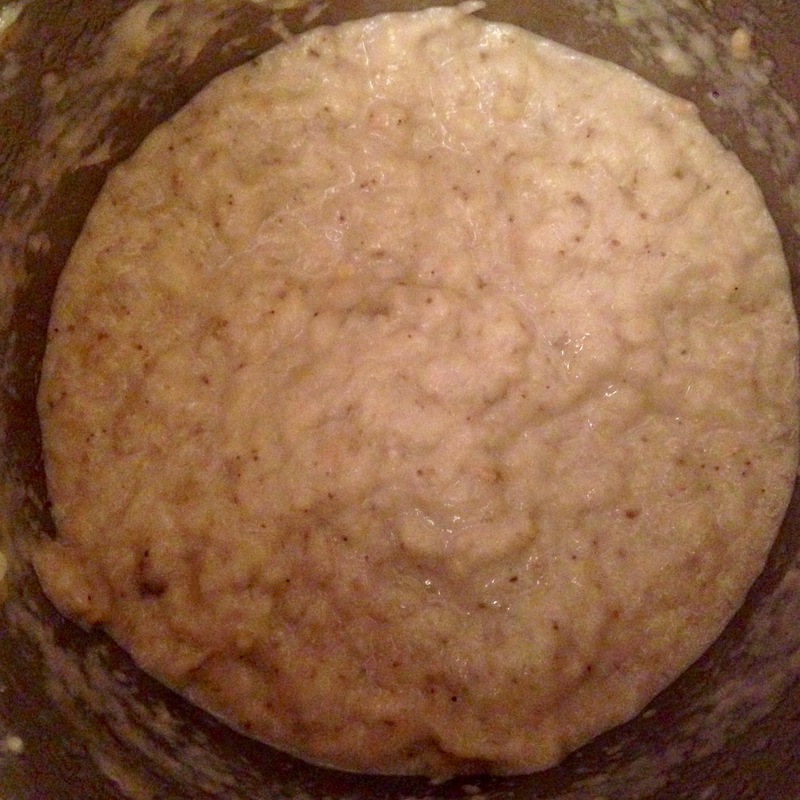 (Once strained, the chickpeas can also be left in the fridge overnight). Now you can proceed to remove the skins. Place the chickpeas in a food processor and whizz until you have a smooth paste. Add the Tehina and the water until the mixture become very smooth, but still a little firm. At this point add the lemon juice and the crushed garlic. Put the hummus in a dish and sprinkle some paprika, chopped parsley and finally drizzle with olive oil. if you don’t like garlic you can omit it from the recipe. Switch the oven on at 220° C.
Place the washed pepper on a baking tray and roast for 40 minutes. When done proceed to skin the pepper and de-seed it. 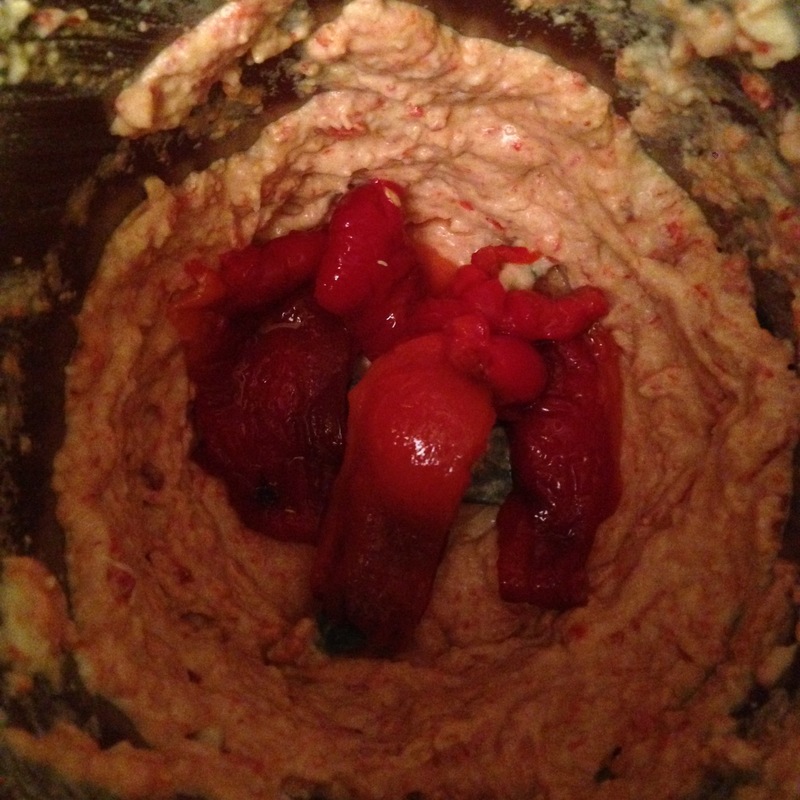 Cut the pepper in small pieces then put it in a food processor together with the same ingredients as the plain Hummus. As for the water add half the quantity only if necessary, as the pepper will release quite a lot of juice. Proceed to garnish with paprika, fresh parsley and olive oil. Also known as Babaganoush, Moutabal is a delightful aubergines’ puree. It can be served on its own with hot flat bread or raw vegetables or together with the other Mezzes. 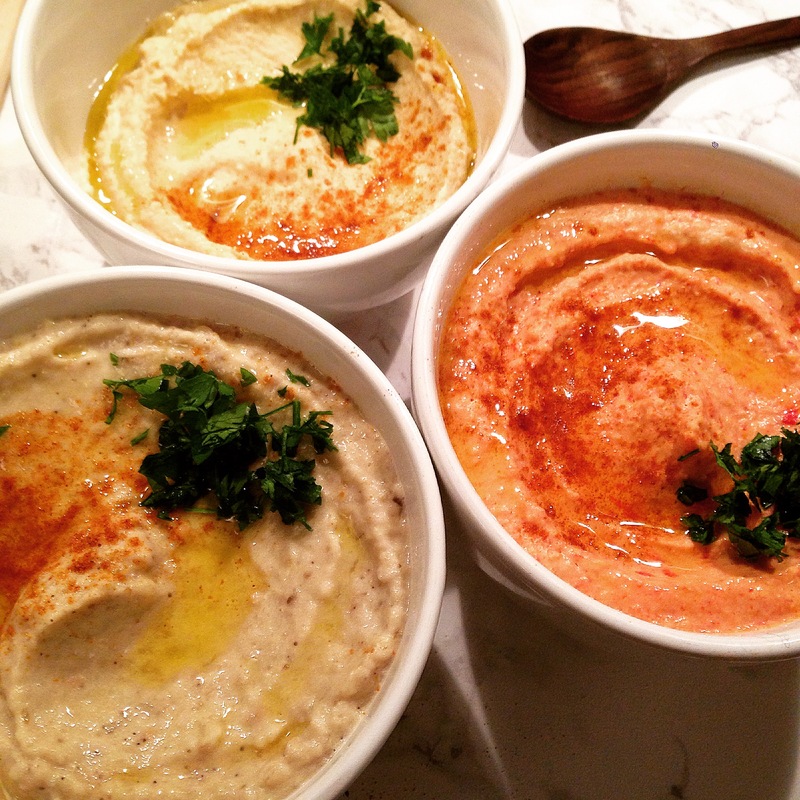 I love it when combined with Hummus and Red Pepper Hummus, the three of them make a superb starter to any dinner! 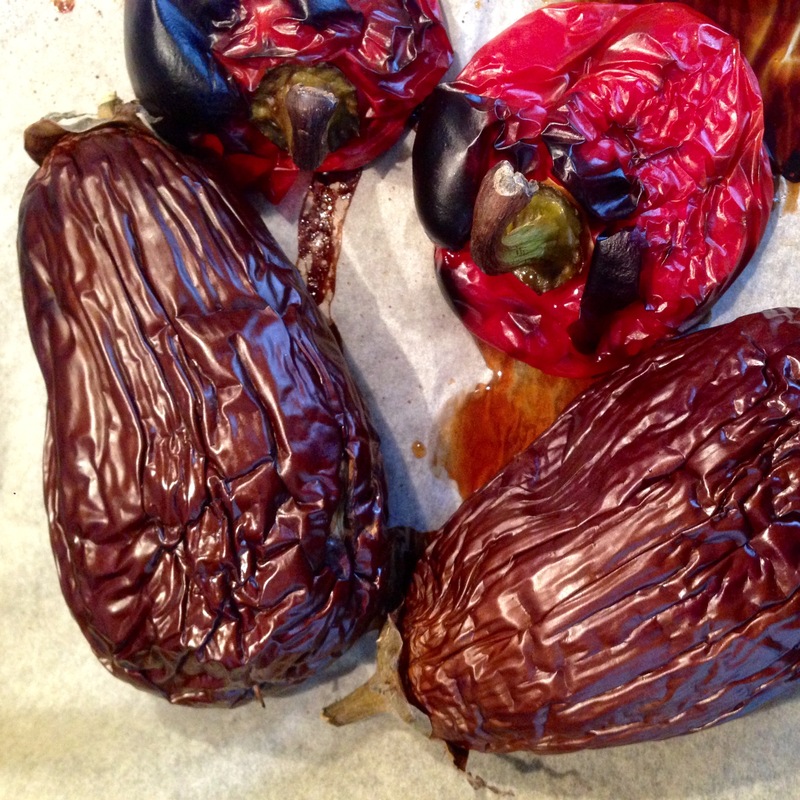 Wash the aubergines, pierce their skin with a fork in several places and place on a baking tray for 40 minutes. When cold peel the skin off, squeeze the excess water with your hands and place in a food processor with all the other ingredients. Give it a good whizz until creamy but not excessively smooth. 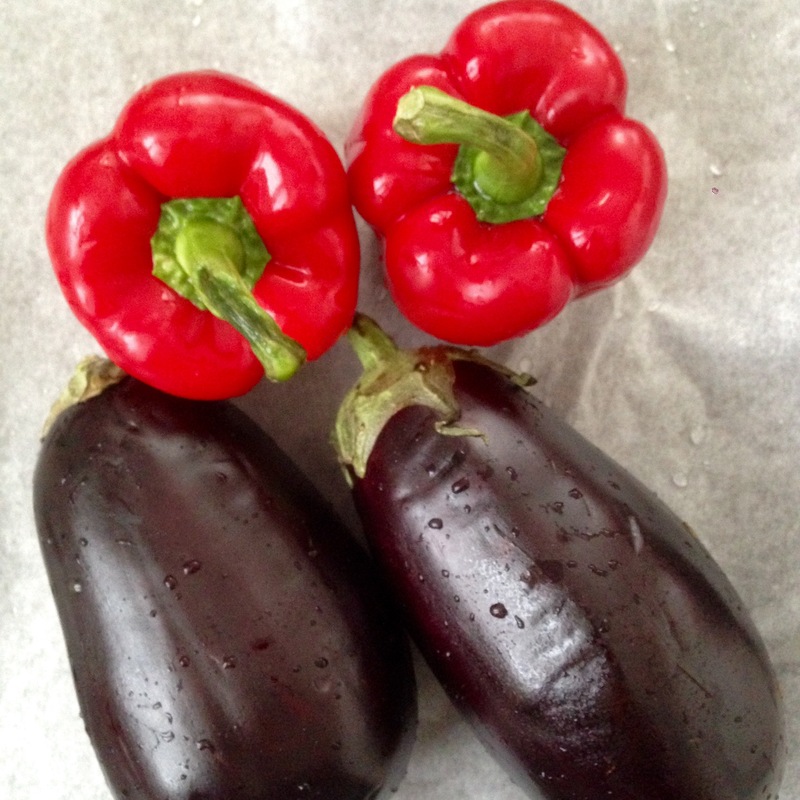 Some people only pulp the aubergines with a fork, but I personally like a creamier Moutabal. Taste and adjust with salt and tehina according to your personal taste.